Have you already downloaded Ooma’s free calling app? We hope so, and we hope that you’re making the most out of the many functions that it offers. Your mobile carrier is not your only option for telephone calls. 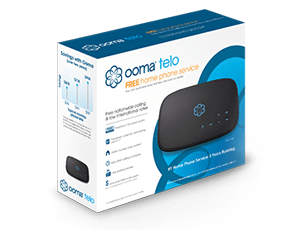 Using the app, all Ooma Telo customers can make unlimited calls from their mobile devices, and not be limited to a minutes-per month plan. Instead of using the traditional and costly technology of transmitting calls via landlines and cell towers, Ooma securely transmits your call over your smartphone’s internet connection. So for truly free calls that avoid any data usage fees with your cellular plan, place your calls when connected to WiFi. Getting started is simple. Just download the app from the Apple iTunes store or the Google Play store. Then log in using your My Ooma username and password. Ooma Premier customers can use the app for additional calling functions. With your $9.99 per month Premier subscription you can both make and receive unlimited calls with the app. In addition to the other benefits of a Premier subscription, your unlimited calling range using the app expands to include Canada, Puerto Rico, and Mexico. All Ooma customers have anywhere access to their voicemail by either calling their own phone number or logging into their My Ooma account online. But with the Ooma free calling app, you’re just a few taps away from your voicemails. Not only does the app offer voicemail notifications and easy access to the messages, but you can update your settings from the app too. If that wasn’t easy enough, your Ooma voicemails are also accessible hands-free by using Alexa. Simply say, “Alexa, use Ooma to check my voicemail.” Additional voicemail functions include forwarding your voicemail audio to your email, which is available for Premier customers, who can also access an add-on voice-to-text service which translates your voicemail messages into written emails or text messages. Although it’s only available to Premier customers, Ooma’s multi-ring function can be helpful for those who want constant access to their Ooma phone line, even when they’re on the go. The multi-ring function lets you choose what devices you want to ring when there’s an incoming call. 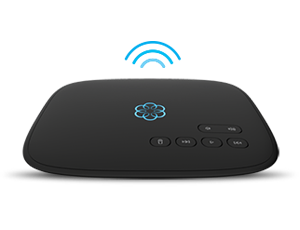 You can select any combination of your Ooma Telo, the Ooma app, or an external telephone line. By setting your devices to ring simultaneously, you’ll have a wider access to incoming phone calls. With the free calling app, you’ll stay connected and available. Did you know that you can also use the free calling app to access international calling options that cost just pennies per minute? With the pay-as-you-go service, both Basic and Premier customers have an easy and affordable way to stay in touch with contacts living in other countries. For those who make frequent international calls, unlimited calling plans such as Ooma World and Ooma World Plus give you wide global access for one low monthly fee. Additionally, the free calling app is a useful calling tool for international travelers. Whether you’re vacationing, studying abroad, or on a business trips, the mobile app gives you just as much functionality abroad as you have while you’re in the U.S.
Plus, you don’t need to have an international plan when you’re traveling. When you’re in a foreign country, just connect to Wi-Fi to avoid international data charges, and call any U.S. phone numbers for free. While all customers can use the app for unlimited outbound calls, Premier customers have additional app functionality with unlimited incoming calls. On top of all that, Ooma’s free calling app also gives you full access to 911 services. After logging your home address into Ooma’s system, 911 calls made through your Ooma home phone or with the Ooma app will automatically be directed to your local emergency dispatcher and not a national call center, as can happen with mobile phone providers. Plus, your home address is automatically transmitted to dispatchers. This saves valuable time during an emergency and still transmits your location in situations where you’re unable to speak. For added protection, Ooma’s 911 Alerts function lets you set up a notification system to be alerted if anyone in your household calls 911 using Ooma. So if you leave the kids with the babysitter or have an elderly relative at home, their call to 911 can automatically trigger a notification text message or email. Preparing for emergencies may not be the first thing that comes to mind when you’re thinking about a free calling app. However, with cell phone calls to 911 having a geolocation failure rate as high as 90 percent, it’s helpful to have advanced communications tools to keep you safe. Dennis is the vice president of product management and technical advisory board member of Ooma and is responsible for creating an intuitive, compelling user experience. Prior to joining Ooma, Dennis worked at Cisco Systems for 11 years where he began his career as a customer support engineer. He later joined the Escalation Team where he focused on fixing the most technically challenging problems, as well as supporting the design, rollout and operations of the largest remote access and broadband aggregation networks worldwide. He was honored with the title of Distinguished Support Engineer because of his expertise in networking protocols, isolating and fixing highly complex issues, and leadership among his peers. Dennis holds Bachelor of Science and Master of Science degrees in Electrical Engineering from Stanford University. What Are the Pros and Cons of VoIP, Landline, and Cellular Phone Service?